Seeing as I'm What Car?’s resident photographer, you might be wondering why I decided to run a hatchback as my long termer. 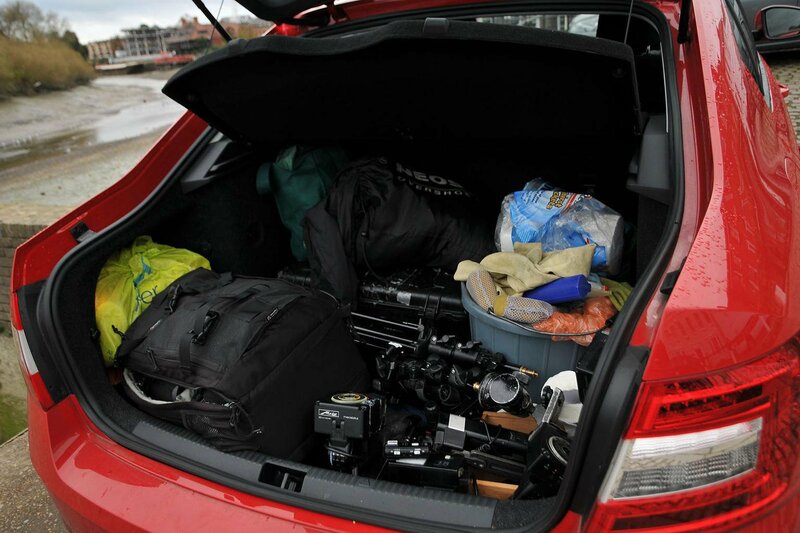 Surely an SUV or MPV would be more practical for someone who literally lives out of a camera bag? Well, as someone who has run a Renault Scénic and a Ford Edge in the past couple of years, I’ve become a little skeptical of the benefits that come along with these so-called ‘lifestyle’ vehicles. 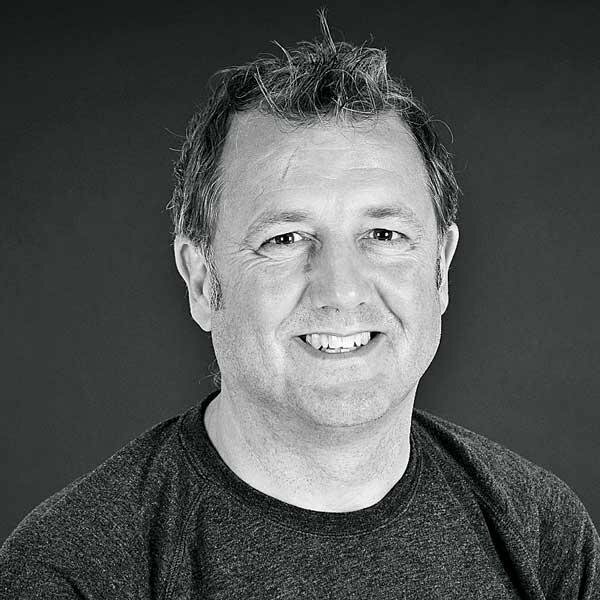 You see, buyers often think that both SUVs and MPVs by their very nature should offer the ultimate combination of interior space, comfort and functionality. But judged on those specific requirements, both my Scénic and Edge failed to live up to the mark, with the former having a relatively small boot and the latter only coming with five seats despite having a vast interior. Which got me thinking. Perhaps a no-frills hatchback would actually make a more practical day-to-day proposition than the type of cars favoured by the majority of families? Surely something like a Skoda Octavia would be perfectly adequate at carrying with all of my camera gear as well as providing good fuel economy and smooth transport on long journeys? It didn’t take me long to put the order form in. A few months later, my Octavia 1.4 TSI SE arrived at What Car? headquarters in a rather 'inoffensive' specification – others on the test team were less kind. But then again, the options were minimal. Corrida Red paint cost just £250 (although it did little to liven up the restrained exterior) and we opted for an 8.0in touchscreen infotainment system with sat-nav to give the interior more of an upmarket ambiance. My only regret was not specifying some slightly larger wheels (16in alloys come as standard) to help give the Octavia a bit more presence. I’d have even put up with a firmer ride for the privilege. But that said, aesthetics are a purely subjective matter. What I was more interested in was how the Octavia would perform as a practical load lugger – something that didn’t take very long to find out. Taking delivery of the Octavia just as Car of the Year season kicked off, my schedule was packed with frequent trips to shooting locations all over the country. Therefore not a day went by without the Octavia being filled to the brim with people and camera gear. And despite much of the latter being heavy and awkwardly sized, the Octavia carried it all with ease. It was so practical, in fact, that I couldn’t help but test how many carry-on suitcases it would fit (a test that our road testers puts every car through). To say I was surprised by the result would be a bit of an understatement. 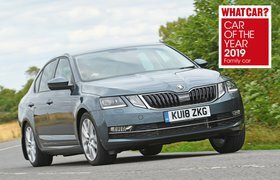 Despite being a relatively compact hatchback, the Octavia managed to swallow a whopping 11 cases, making it the most accommodating car we’ve tested to date, Mercedes-Benz E-Class Estate, Audi Q7 and Range Rover included. And the good news didn’t stop there. With the number of photoshoots ramping up towards the end of the year, I was spending an increasing amount of time on the motorway. 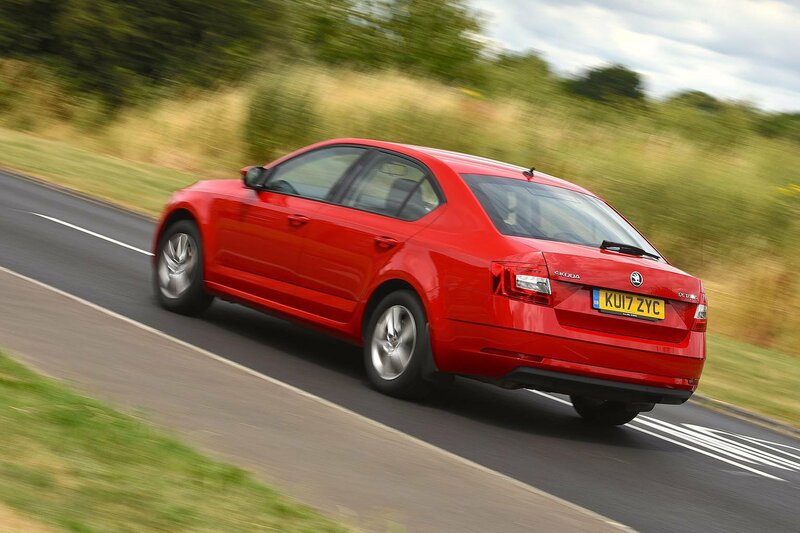 Usually, this would be a bit of a chore, but the Octavia made it bearable thanks to its impressive refinement. Wind and road noise is remarkably well suppressed and the 1.4-litre petrol engine is barely audible at speed. I was a little disappointed not to match Skoda’s claimed average fuel economy figure of 54.3mpg, but the high forties didn't feel too shabby for a for a highly strung turbocharged petrol engine. In fact, it’s worth at this point taking some time to outline just how good that 1.4-litre motor really is. Later this year, it’s due to be replaced by a more environmentally friendly 1.5-litre unit that we’ve already tested in everything from the Skoda Karoq to the Volkswagen Golf. It’s a great engine, but in back-to-back testing, we’ve found that it doesn’t quite have the same flexibility as the 1.4, feeling weaker at the lower end of its rev range. So, what didn’t I like? Well, despite me being described as being one of the more critical members of the team, not much. Yes, the interior is a bit bland and the 16in skateboard wheels make the car look rather bargain basement, but aesthetics aside, I’ll be very sad to see it go. 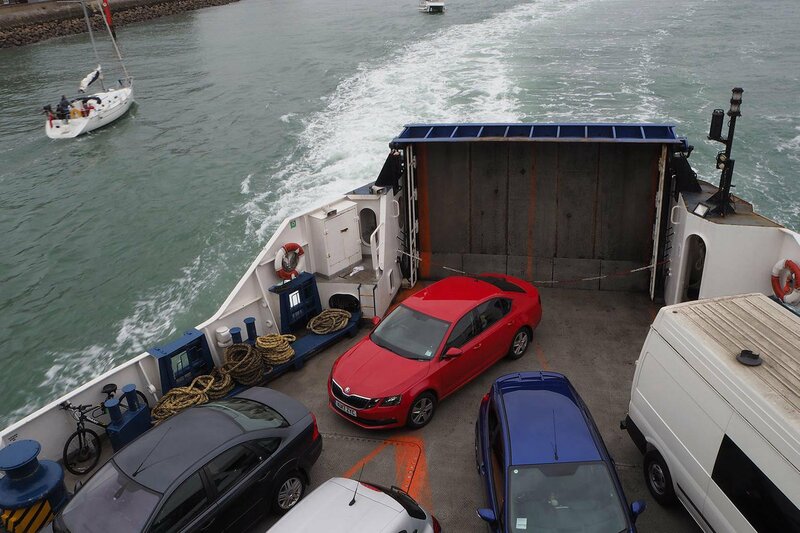 The Octavia has been a practical and dependable member of our long-term test fleet and one of the most satisfying to run. So you can keep your SUVs – a hatchback fits my ‘lifestyle’ just fine.